What is a Bullet Journal (BUJO)? A bullet journal or BUJO for short, is an organizational system that helps you keep track of everything in your busy life. It’s a life hack, a physical place to store everything you need to do, remember, or give attention to. Created by Ryder Carroll, a designer in New York City, the bullet journal is a way to keep organized in a fast-paced world. This system is a hard copy version of a to-do list, reminders, upcoming tasks, and anything else you need it to be, all in one place. And you don’t need any fancy gadgets or digital devices. All you need is a pen and a notebook. Index: The index will be the first element in your bullet journal. Adding an index helps you find what you need when you need it. All of that information may seem like a waste if it is jumbled and you are unable to locate information in a pinch. Rapid logging: As the name implies, rapid logging is a quick and easy way to record anything. Many people lose interest in journals or complicated lists because they become arduous and cumbersome, rather than helpful. Using rapid logging, you make quick work of any meeting notes, journal entries, or to-do lists. This involves notations using short sentences and abbreviations, when possible. Logs: Your bullet journal should contain logs that help you identify what you need to accomplish. Ryder Carroll recommends that you use a future log, a monthly log, and a daily log. This way you can see what you need to accomplish on a small and large level. This logging system also provides you with a way to track your progress over time. Collections: Collections are a way of consolidating related topics. You can add a collection for books you want to read, restaurants you’d like to try, or even a separate collection for tracking fitness goals. Migration: Migration involves moving uncompleted tasks into current or future logs so that the tasks remain visible. If you are unable to complete a task from a previous month, simply migrate the task to your present or future set of goals. One of the main purposes of migration is to help you identify which goals and tasks are truly important to you. Your bullet journal can contain whatever information you want. The goal is to accomplish more by weeding out irrelevant tasks and continuing to work towards the ones that matter. Bullet journaling is about the system more than the content. Fill it with whatever matters to you! Choose your notebook and pen.Make sure it is big enough to hold everything. 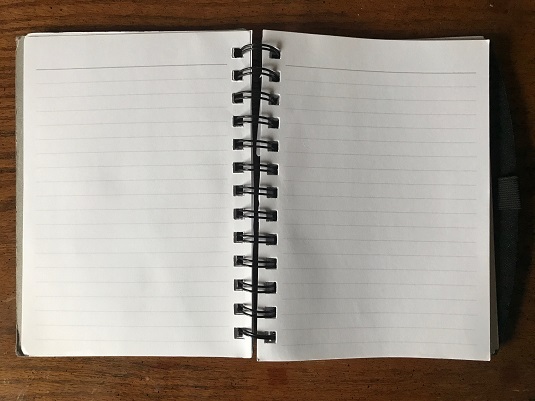 You will consolidate everything (really, everything) into this notebook. Open your notebook to the first spread and title them Index at the top of the page.A spread consists of two blank pages next to one another. Open to the next blank spread and title the pages Future Log.Write the page numbers in the bottom corner of your page. It is important that you log entries into the index as you add them to your journal. This will help you find entries quickly when you need them. Go to the next spread and title it Monthly Log. Create spaces for monthly entries. Often, this takes the shape of large boxes for each month, similar to the structure of a monthly planner.Don’t forget to record the page number in your index. Open to the next spread and title these pages Daily Log. To enter your first entry, record the date. Once you have completed your first month, begin a new monthly log. Go back and scan your previous month. Mark completed tasks with an x. Review open tasks. Consider whether the task is still relevant. If the task is no longer relevant, mark it through with a line (task). If your task needs completed in future months, make the dot a left arrow (<) and migrate it to the appropriate place in the future log. If the task needs completed in the current month, use a right arrow (>) and record the entry in the current month. Next, begin any collections on a new spread to keep track of related topics.For example, you may have a grocery list or track ideas for an upcoming birthday. Record the page number and collection in your index. To see this process in action, check out Ryder Carroll’s YouTube video describing the basics of bullet journaling. You can put everything is one place. No more lost or half-fulfilled to-do lists. 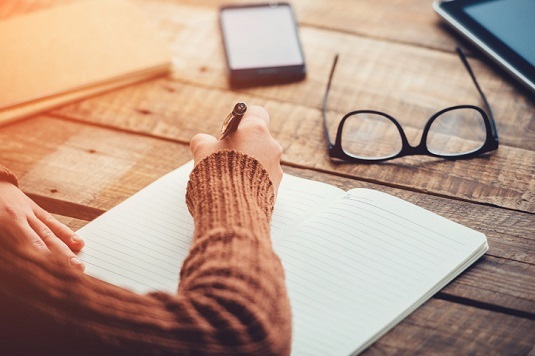 Bullet journals are easily modifiable to fit your needs, habits, and schedule. They don’t require a huge time investment. All topics are indexed and can be found when needed. You are already doing this. Bullet journals just make it easier. With these journals, you can identify what is truly important to you and your goals are always visible. Check out Pinterest for ideas on how you can use your bullet journal to stay organized.